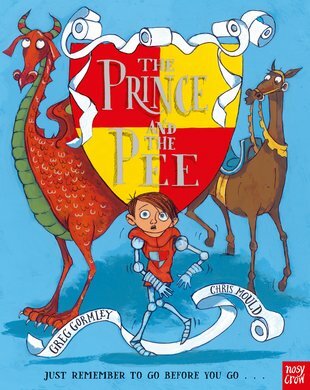 What should you do when you’re on a gallant quest to save a castle from a scary dragon – but suddenly you really, really need to pee? That’s exactly the problem that Prince Freddie faces as he gallops through the forest in this story! But there are scary ogres, damsels in distress and a massive queue for the only toilet. Uh-oh: how much longer can our hero wait? When the dragon blocks his path and sets fire to the castle, it’s all too much. Freddie HAS to pee. Can he save the day at the same time? A hilarious tale of derring-do and needing the loo! Greg has been illustrating books for just over five years. His background is in educational publishing, and he has only recently turned to trade children’s books. Greg lives and works in London.